The FAL Files > Weapon Specific Forums > CZ Firearms - Czech it out! Hopefully a completely tested and wrung out version hits the States soon. 1. Whenever you are talking to a woman realize this person was born insane and you will never be surprised. 2. Never let Doctors cut on you unless its life or death and ALWAYS get a second opinion. SCAR's slightly, oh, so slightly, better looking sibling ? Hopefully, it's better balanced than the 805's I've mucked around with. And don't get me started on the pistol grip. The BREN is every bit as good, if not better, and a thousand less. 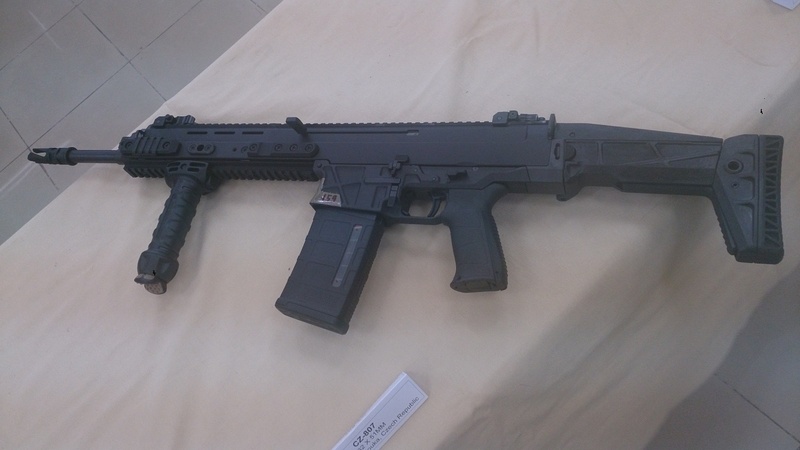 French GIGN just bought the BREN in 7.62x39...now THAT I would be nice to see coming to the States. While the Bren S1 has been available in the US for a number of years the updated S2, based on the Bren 2 has not yet been released, despite the success of the Scorpion EVO 3. 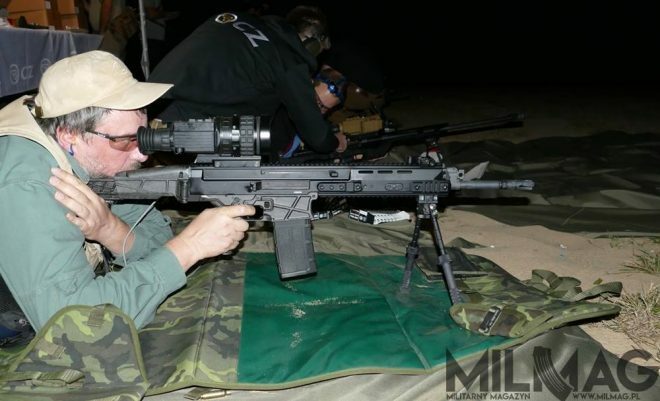 CZ-USA have not made an announcement or updated their website so TFB reached out to one of the stores selling the Bren S2, the North Dakota-based Prepper Gun Shop. They confirmed that one of CZ’s wholesale dealers received a small shipment of several hundred guns, seemingly imported as pistols. Prepper Gun Shop currently has the Bren S2 pistols in two calibers – 7.62x39mm and 5.56x45mm and in three barrel lengths 8-inch, 9-inch, and 11-inch. According to Prepper’s the Brens shipped with the M4 stock adaptor and they decided to put together a brace package with the SB Tactical SBA3 brace. The pistols are also available without braces. Been waiting for the product improved BREN 2 for awhile. Vast improvement over the BREN 1. Bren 805....meh no. Bren 806.... for $1000 less than a SCAR.... yes. Good luck with that though. I bet they sell for the same money as a SCAR. I like that the 308 gun uses PMags! Reminds me of a VZ58! Not that that's a bad thing, different company but pleasantly similar. I wonder how much the 308 will be? Oooh, could have a 308 Bren with a mag on the bottom too!! I know of no reason Why the gun banning treason should ever be forgot. I may have to dig here, but I'm a bit surprised that there's not a lot more talk about the Bren 2 here. There's pages of info and commentary about it at AK Files. What do you want us to say? It's great to have options, but it's not a terribly remarkable rifle until proven otherwise. There's also been a lot of talk about the 5.56 and 7.62x39mm variants over there, especially since a limited number of those got released to the public by CZ USA though selected distributors. General release isn't expected until very late this year or early next year, though. That being said, the Bren 2 is one of the modern rifles that I'm very interested in as it seems to be a good alternative to the likes of the SCAR and the HK416. Will Maura even let you have one, OP? Yet French RAID, COS, and CCT use the SCAR. As does German GSG9, and state police MEK and SEK units. Now I admit, in the 30 + countries that adopted the SCAR, it is mostly spec ops units of military or police special units. But still 3x that of the BREN. So I wonder what metric you are using to determine the BREN "superiority" to the SCAR? And what objective testing data are you using that all these countries failed to see? I doubt this gun will beat the SCAR 17 in any area except price. Which FN has been gouging on due to exclusivity for far too long. So some competition is a good thing. I've been admiring the 805 since it showed up at PSA, but they've been too slow to recognise the gem they would have had on their hands with a 7.62x39 version. Some of us just arent interested in a .22 caliber carbine that costs $1800 when a nice Colt M4 can be had for $700. The .308 needs to be substantially less than the SCAR and I really don’t see it happening. For $1000 less it would sell well. I do like that it uses PMags.
. Which FN has been gouging on due to exclusivity for far too long. Made-up word with no objective meaning. I agree that they are overpriced. But I chose to buy them anyway - because it pleases me. So how was I taken unfair advantage of, due to a crisis situation - which is the typical subjective meaning of that silly word? It was a tongue in cheek use of the word. FN has a great product thats in demand, so yes they can charge what they want for it. It amazes me that they've had a 10 year run with virtually no competition for a next generation .30 caliber rifle. I did have to sell all my FALs, all my AR-15s, all my AKs, and all my bolt guns to make it happen, so it really isn't as impressive as one pic might imply. I still have some hunting shotguns and some 10/22s, but nothing else of note. I sold a couple of AK’s and a Garand to make me feel better about the cash I spent on mine too. I’m not really a collector anymore and I wanted to consolidate calibers too.